Being in the happy position of being able to hitch up and go whenever it suits, I had been watching the ten day weather forecasts for a settled period of dry days. 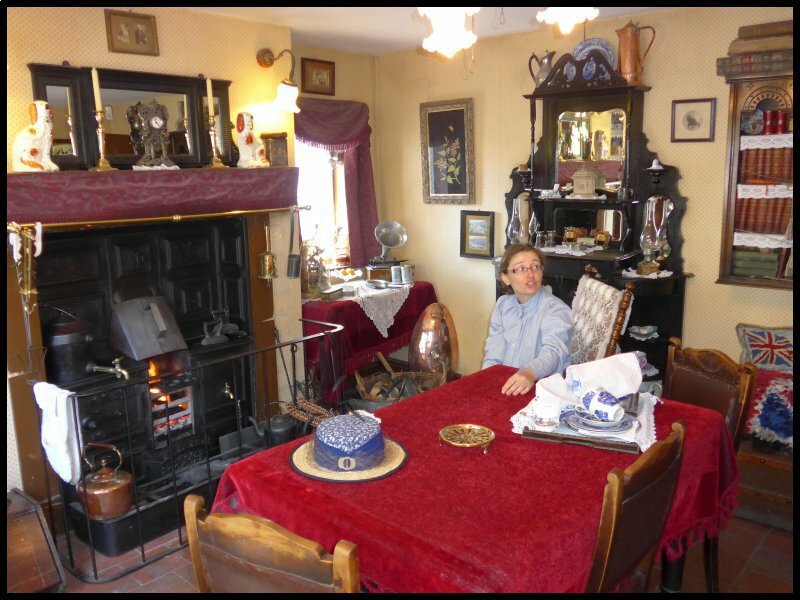 Such a period looked favourable starting during the 2nd week of June – so I quickly packed the van and was ready to leave on Tuesday the 13th. 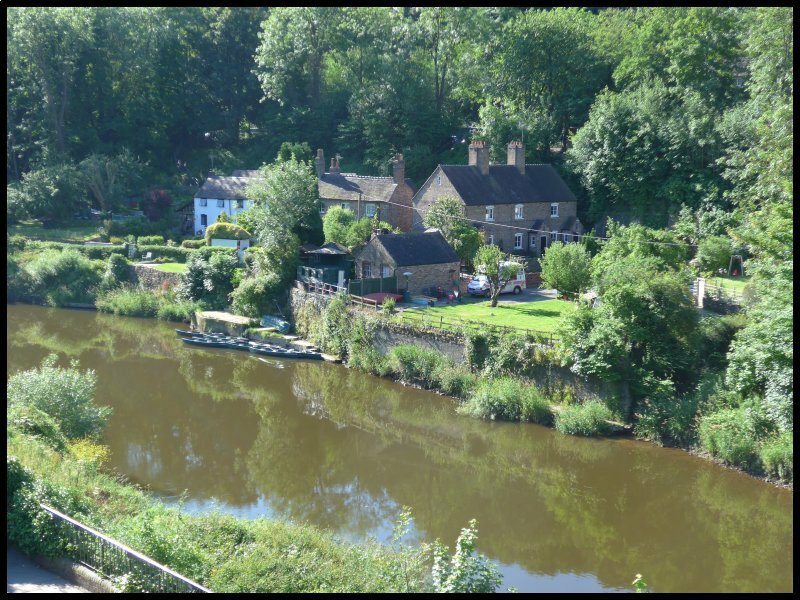 My chosen location was in Shropshire – around the Iron Gorge, so an email to the C&M CL at Coates Farm in Much Wenlock guaranteed me a pitch. Most of my towing journeys after the first ten miles includes a drive on the M25 so I like to begin my journey either early morning or late evening. This one began at 6.30am. Even so, the M25 was busy and quite slow-moving. However, once the M40 was reached, traffic flow improved. With a couple of coffee and lunch stops I arrived at mid-day. 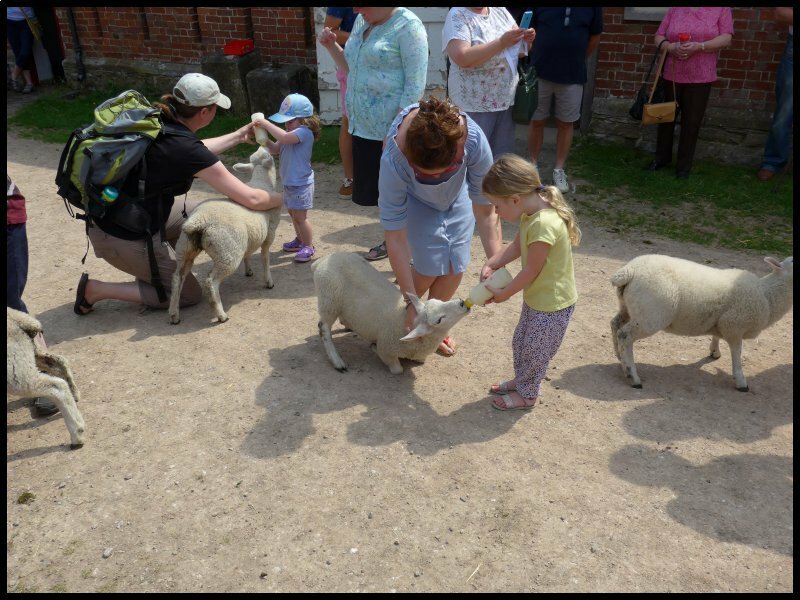 Coates Farm is mainly devoted to sheep rearing but the field set aside as the CL is kept animal free. The partly sloping field is trimmed grass and each pitch has its own water tap, so a hose can be left permanently attached. Chemical disposal is centrally placed at the side of the field. Ample electric supply is from bollards each with two modern connections. Since the pitches are widely spaced, a full 25mtr length of cable is required. In the farm yard there is a toilet & shower.. 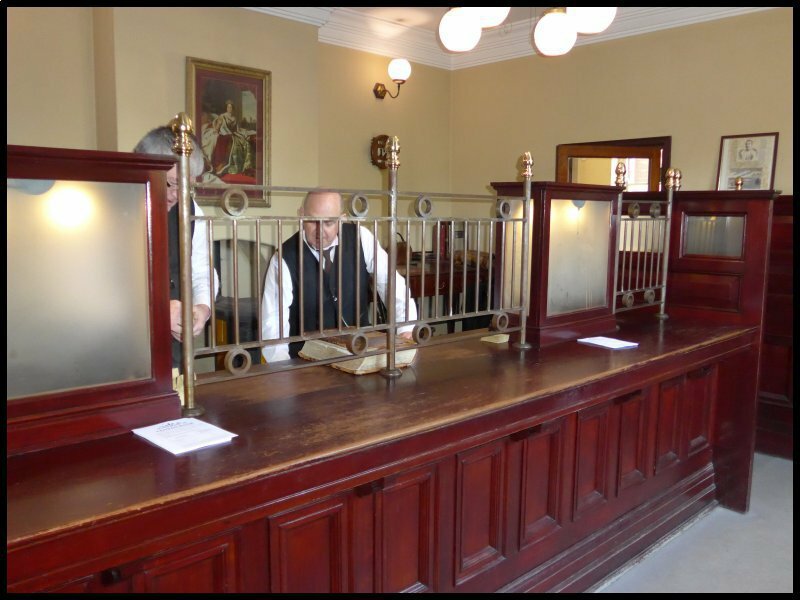 The charge inclusive of electricity is £15 per night. The only negative aspect was that I was unable to get a mobile phone signal or a computer connection on my 3 Mifi. Not until I was in town did they come alive. Half a mile along the road is the now closed Caravan Club site at Presthope. 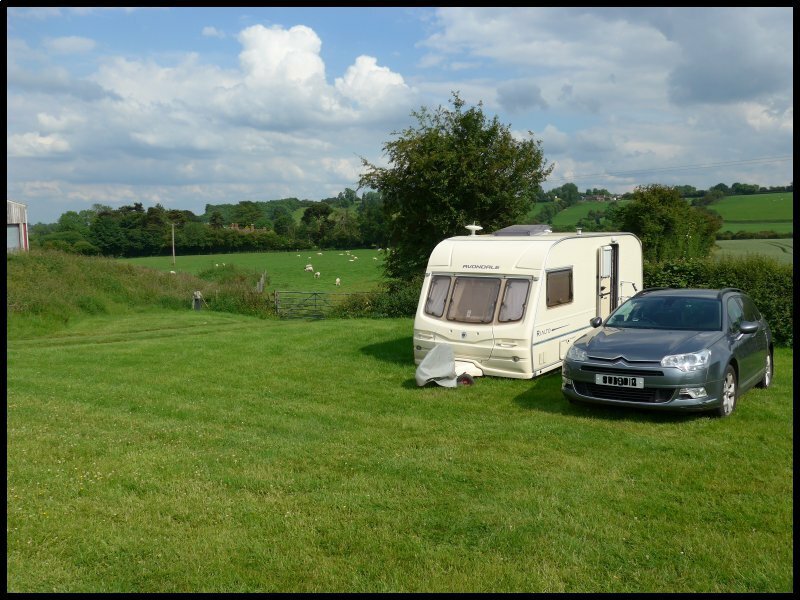 However, new owners are re-developing the site as a privately owned touring site. 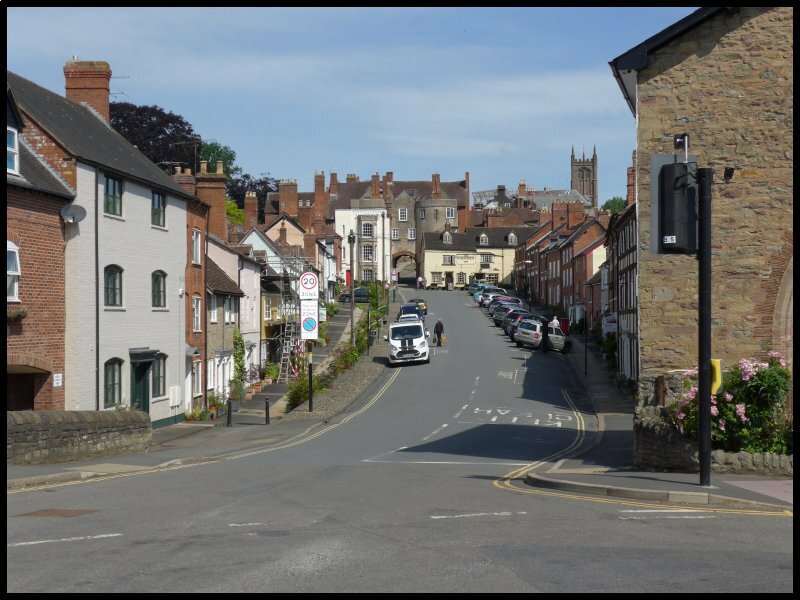 During the afternoon I drove the short distance into Much Wenlock to explore. 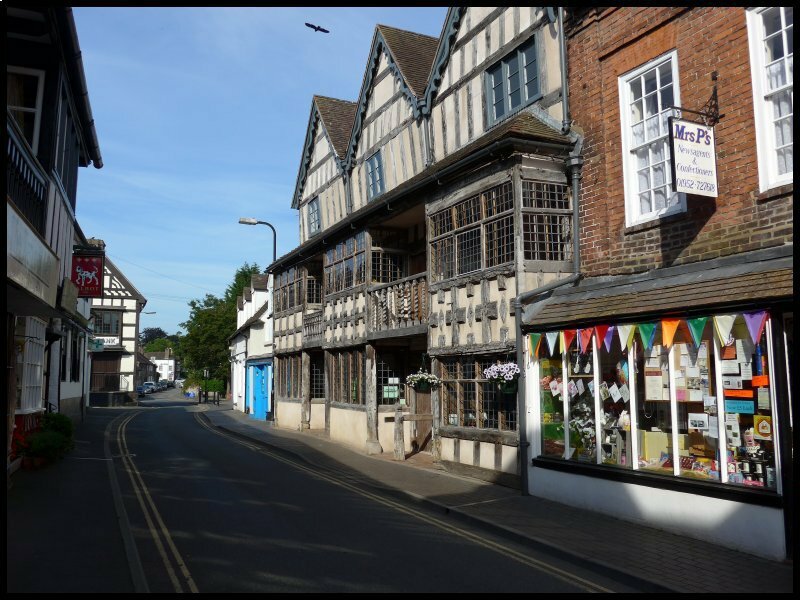 The town had it’s beginnings during the Middle Ages where the trackway from Wales to the Midlands met the route between Shrewsbury and London. 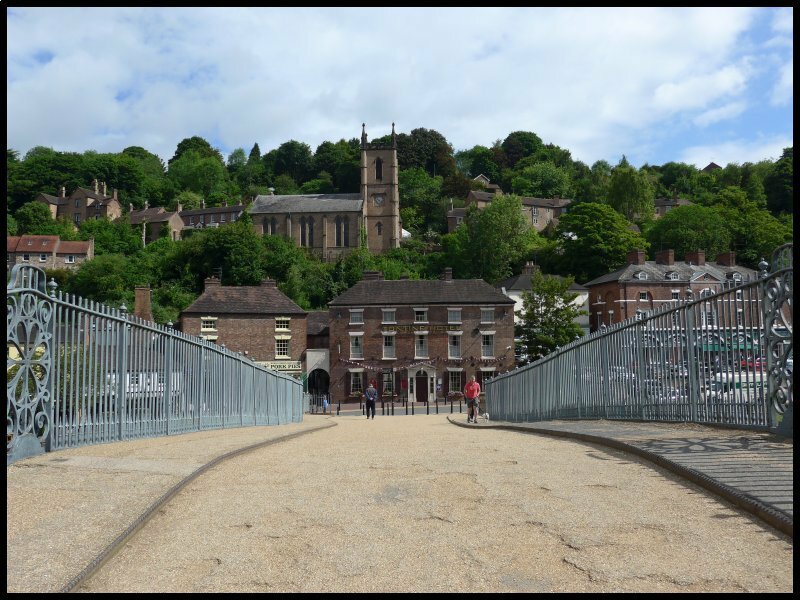 On Wednesday for my first planned tour I drove to Ludlow which John Betjeman described as “probably the loveliest town in England”. 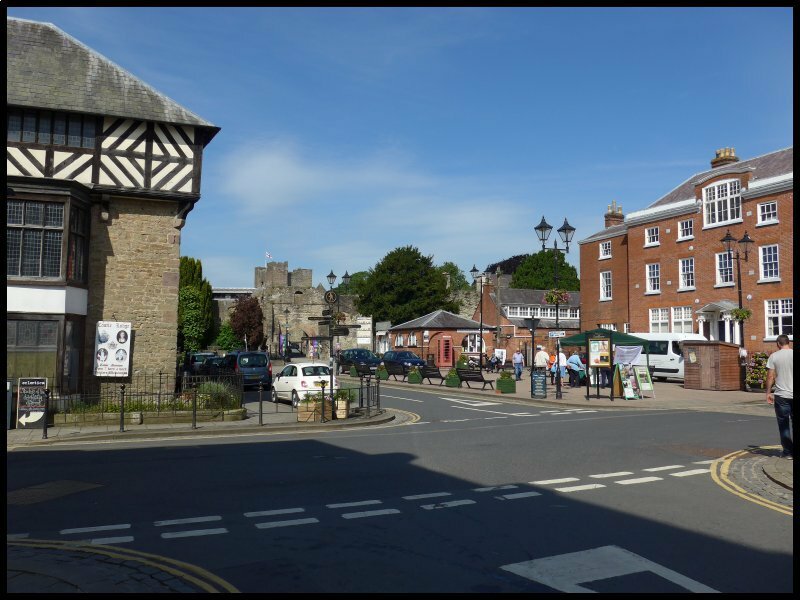 It came into being as a walled town with a castle built at its highest point after the Norman Conquest in the 11th Century. Originally the town had five gates but only one survives. A broad street (for that is its name) goes from the Market Square, down through the arched gate, and then to the river. In the 17th Century further building took place outside the town walls. 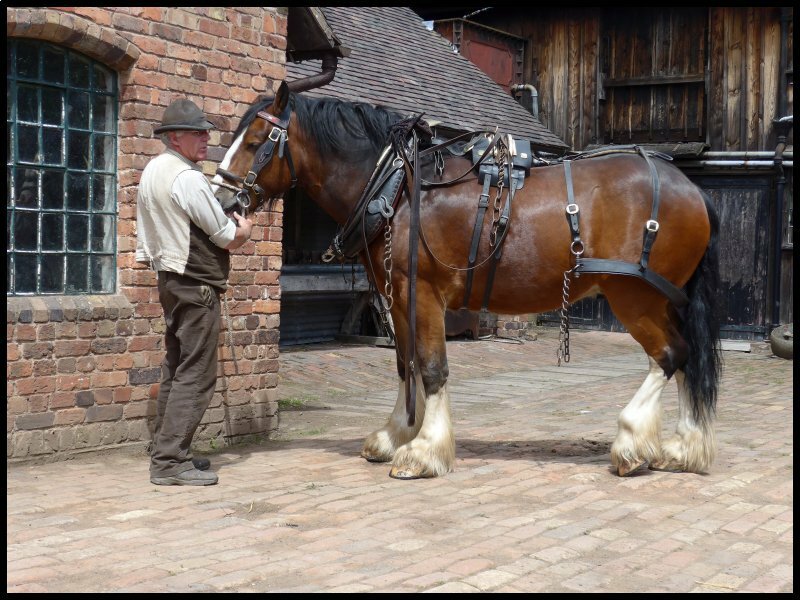 But with the coming of stage coach travel it was found that the road was just too steep for the horses to pull the loaded coaches from river bank level up to the gate, so Thomas Telford came up with a plan to move earth from the street within the walled town and use it on the roadway outside the walls. 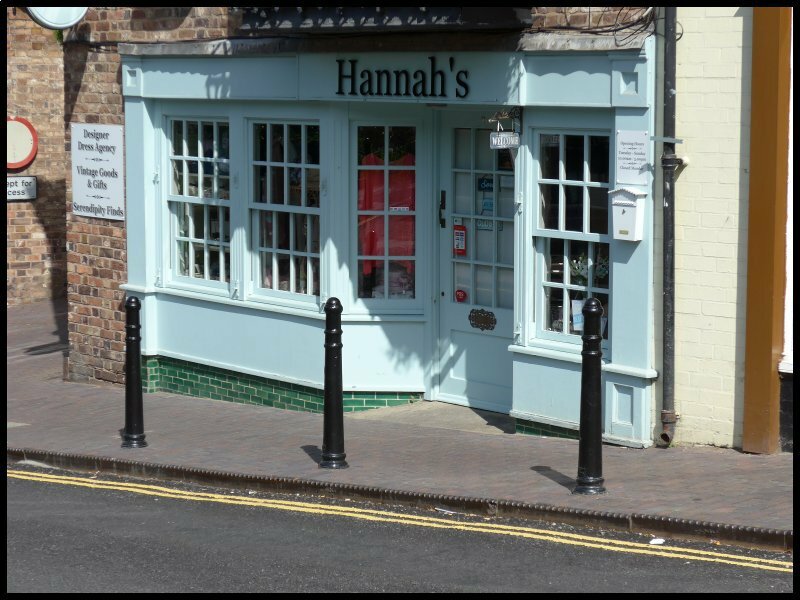 Consequently today we see the pavements within the walls a metre or so higher than the street level, whilst the pavement outside the walls, is a metre lower than the roadway. Lower Broad Street at Ludlow. 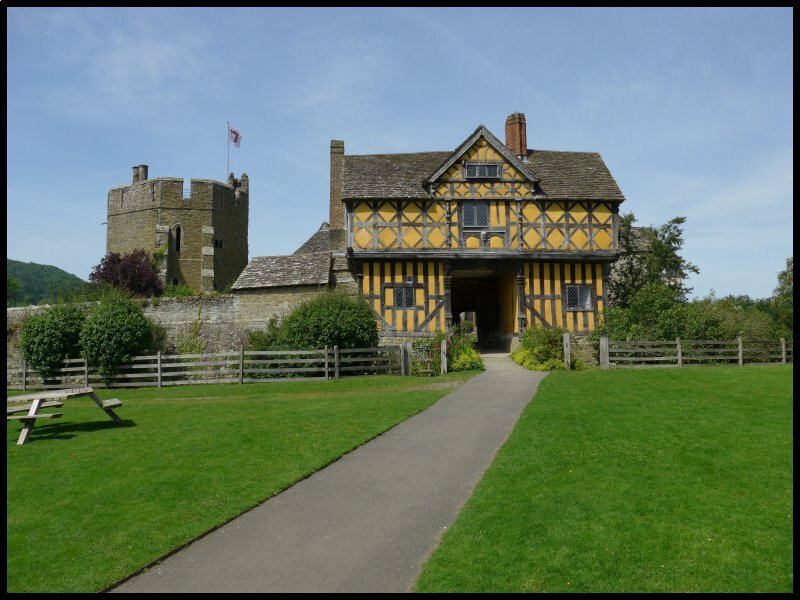 After a stroll around the town and a visit to the Castle, I moved on to my next stop which was seven miles away at Stokesay. Stokesay Castle is more a fortified manor house built in the late 13th Century by Laurence of Ludlow, who was one of the richest wool merchants in England. 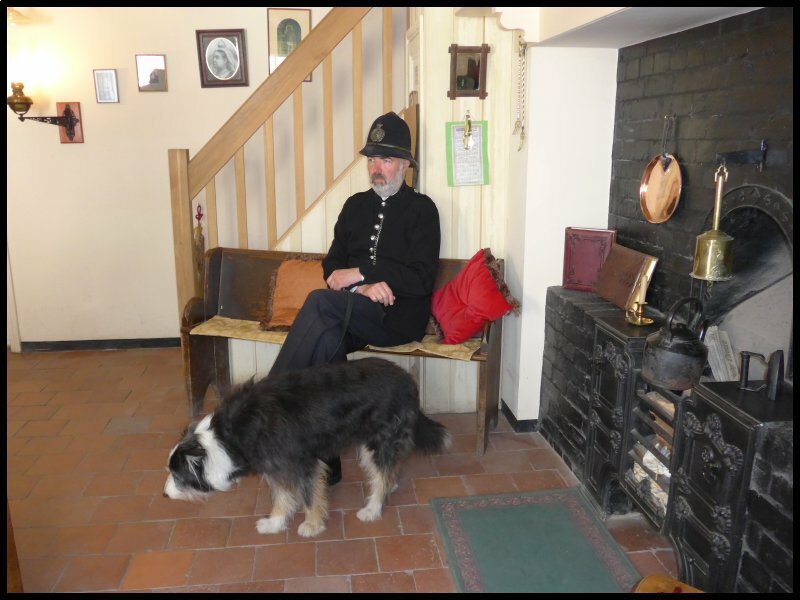 The house stayed in his family for the next 300 years. 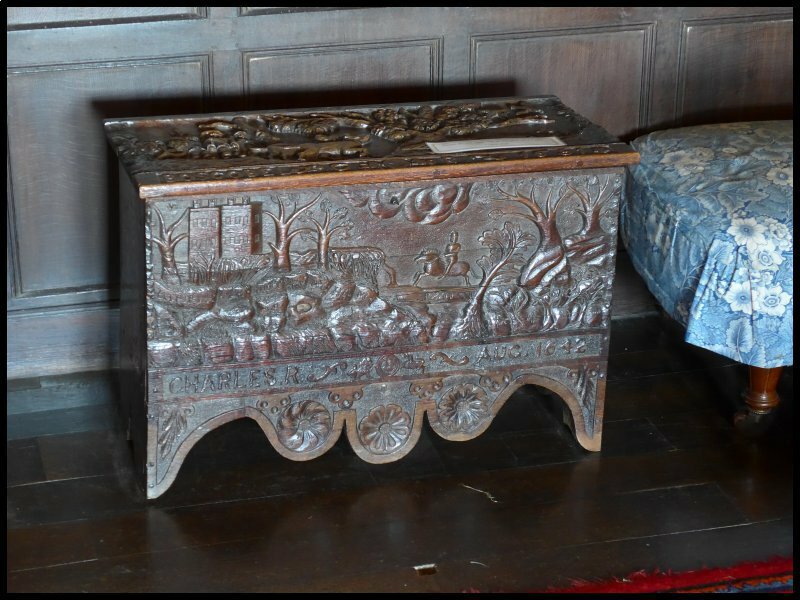 The oak panelled walls and fine wood carving bears witness to his wealth. An equally fine gatehouse was built in the 17th Century with all its timbers being richly carved with patterns and figures. 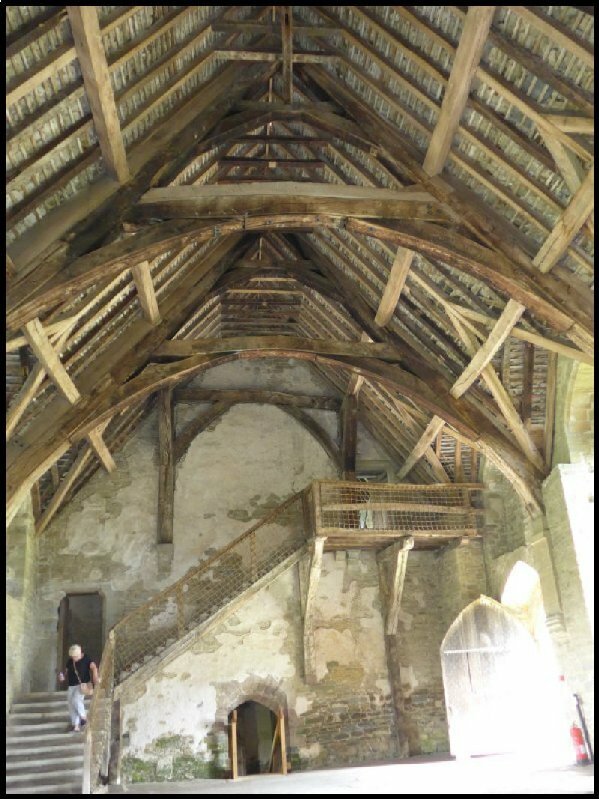 The fine timbered roof in the hall. During the Civil War the then owner of the Castle was a staunch Royalist so the Castle was besieged by the Parliamentary Army. The Castle quickly surrendered during which parts of the walls were demolished. Even the kerbs are cast iron. His idea was that it would be a world’s first and it would stand as an example to the rest of the world. And so it was. The bridge reaches across the river for a 100 feet and when built cost £6000. 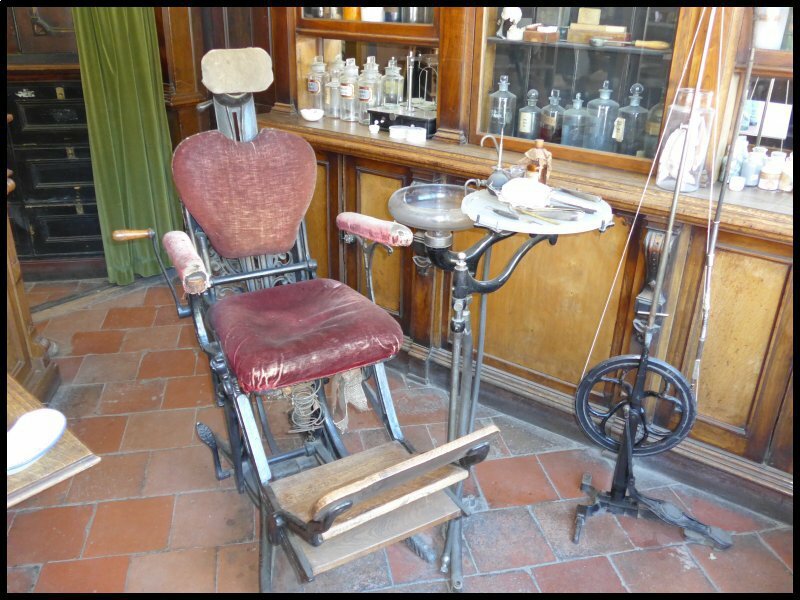 Visitors came from all over the world to wonder at this new invention. Darby quickly saw an opportunity and together with friends, built the hotel at the end of the bridge. He aptly named it the Tontine Hotel. 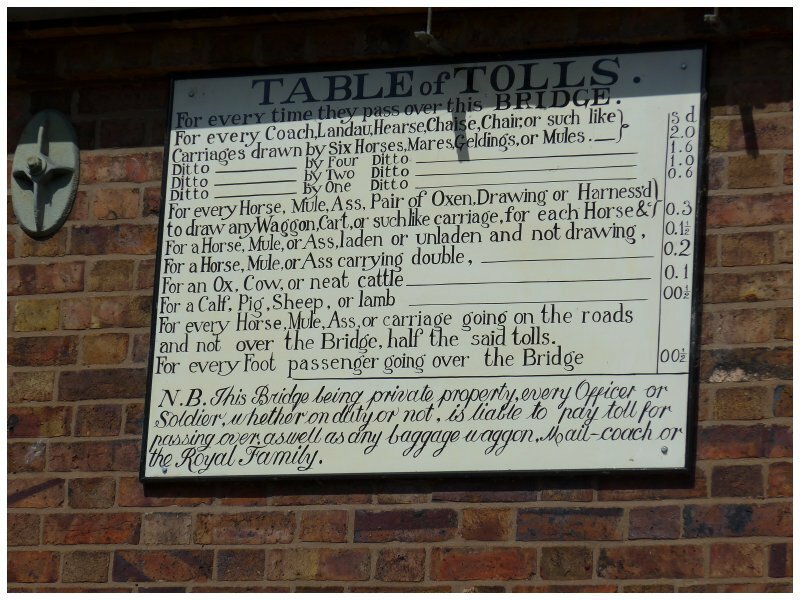 A ‘tontine’ is a 17th Century financial agreement drawn up to pay investors a yearly income. 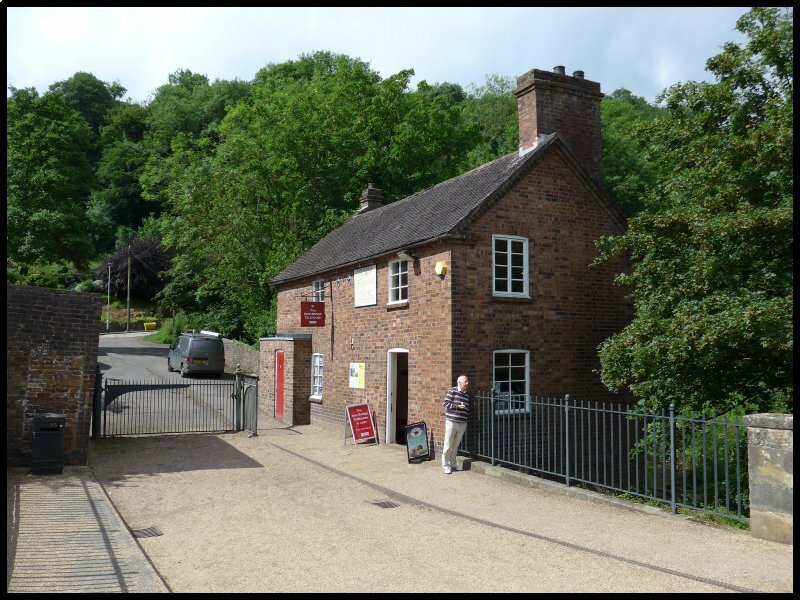 The bridge together with the toll-house is now in the care of English Heritage. 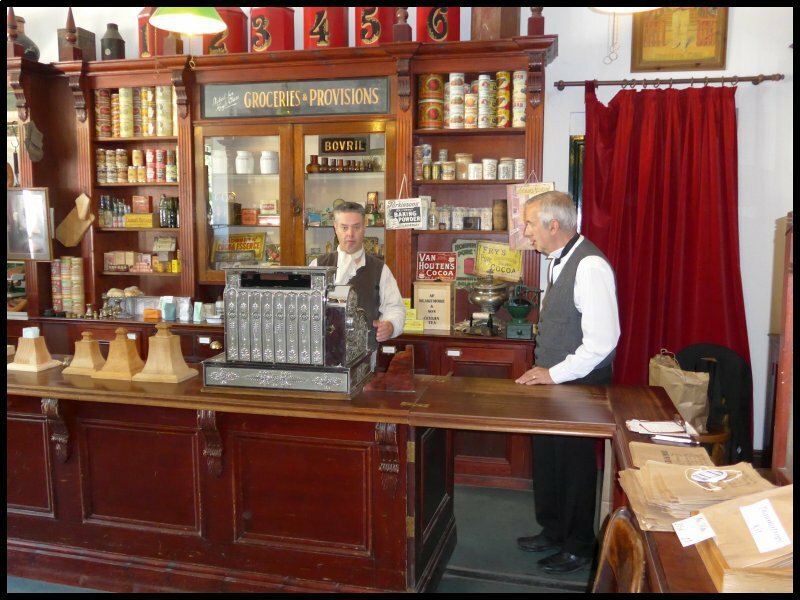 Altogether there are ten museums in a small area dealing with different aspects of Industry. From the bridge I drove a couple of miles to Blist’s Hill Victorian Town. The entrance fee also gives admission to all the other museum sites in the group. The one off fee is £25 or £20 for OAP’s but as the fee can be paid with Tesco vouchers, it cost me nothing. 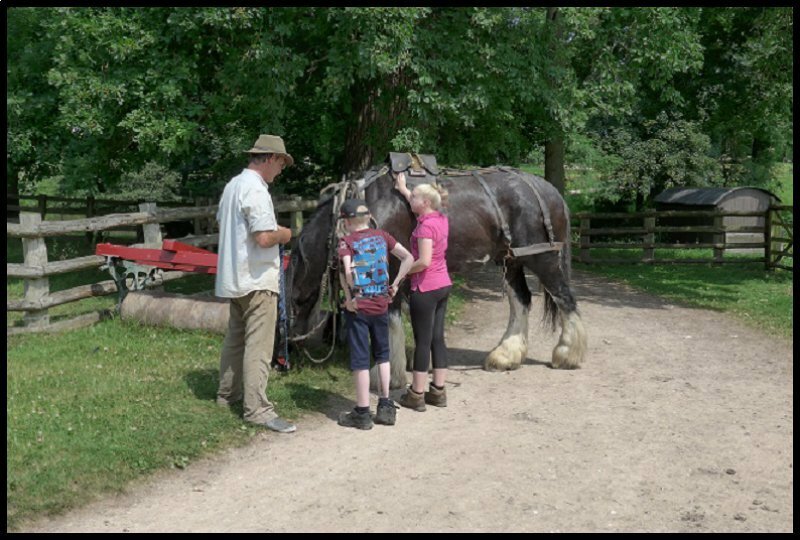 However, when a parent has stumped up £68 for a family ticket, to be met with signage asking “Have you paid and displayed?” – I think that is a bit much! 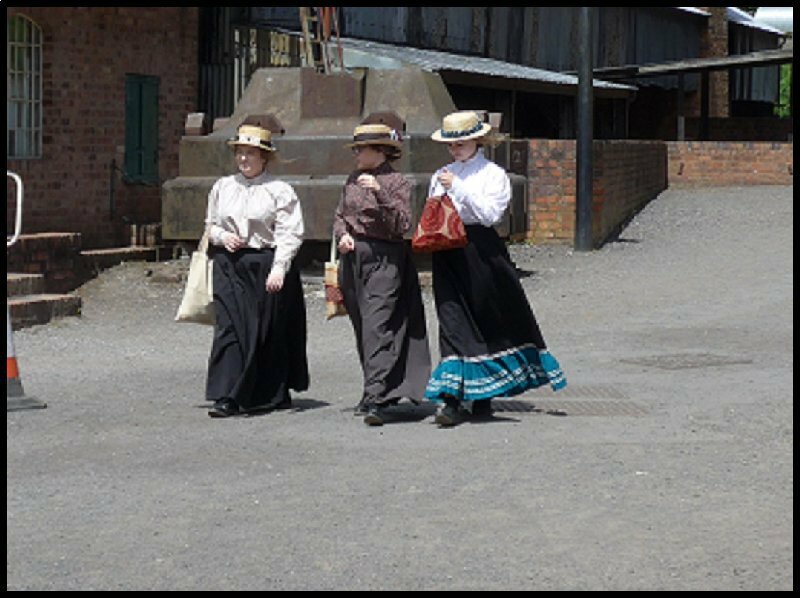 On the site there are still the remains of a blast furnace but now Victorian buildings which have been dismantled elsewhere in the district have been brought together forming the Town. 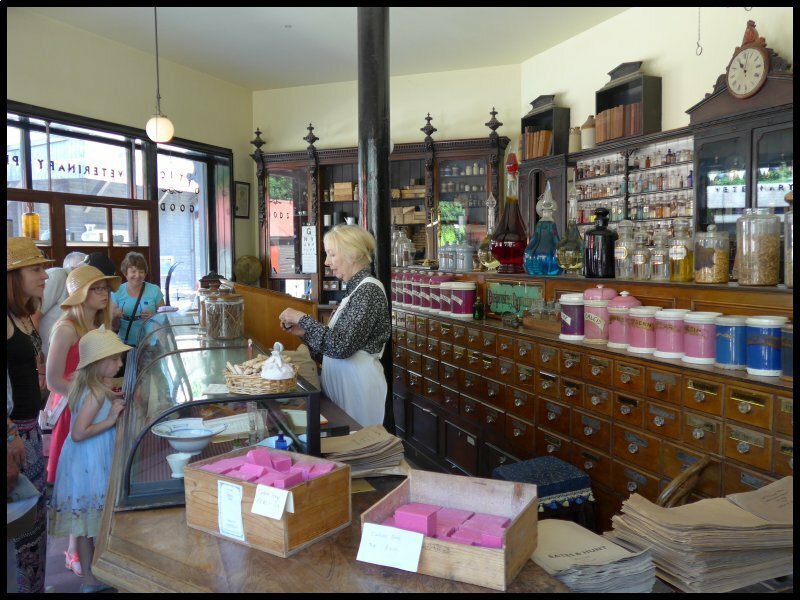 For those who have watched the TV series “The Victorian Pharmacy”, the shop will be immediately recognisable..
To walk the streets, walk the canal bank and see the various craftsmen at work takes several hours. 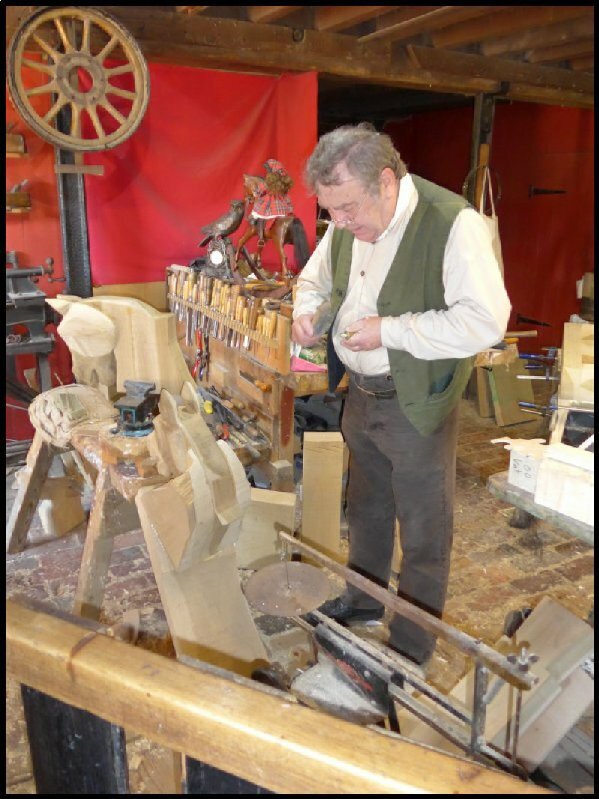 The Carpenter’s shop. A Victorian Living Room. 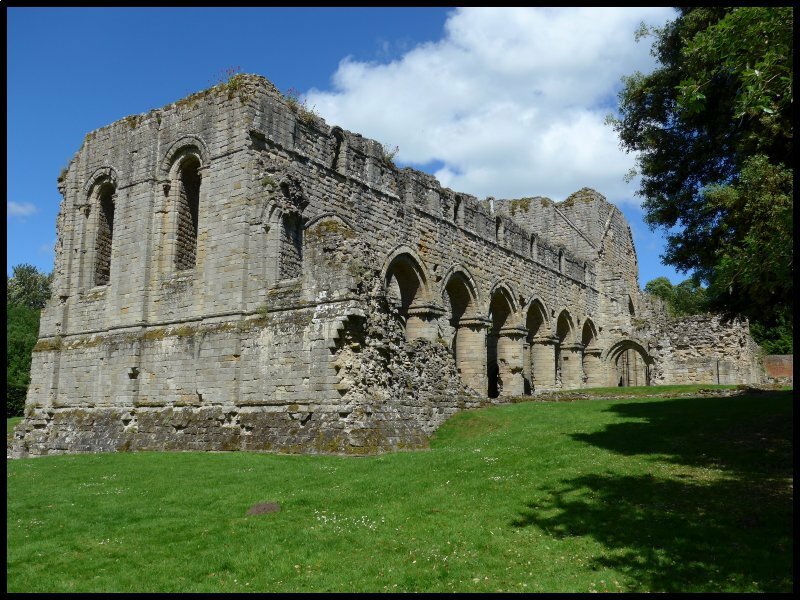 On the way back to my site I called in to visit the remains of Buildwas Abbey, a monastery founded in 1135 on the banks of the River Severn. Being situated close to the Welsh borders, the small community was frequently attacked by Welsh tribesmen so even at its dissolution in 1536 it was a very poor community. Today’s outing meant a round trip of 50 miles. 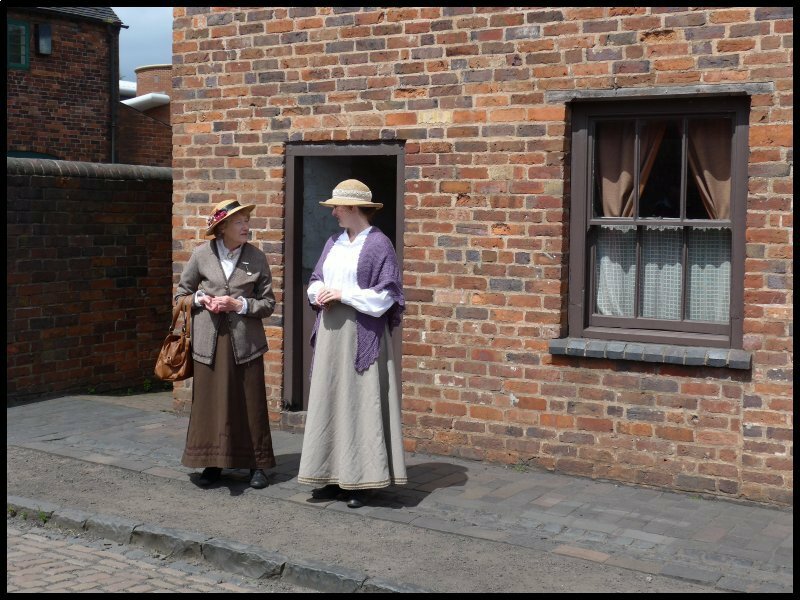 I wanted to visit the Black Country Museum in Dudley. 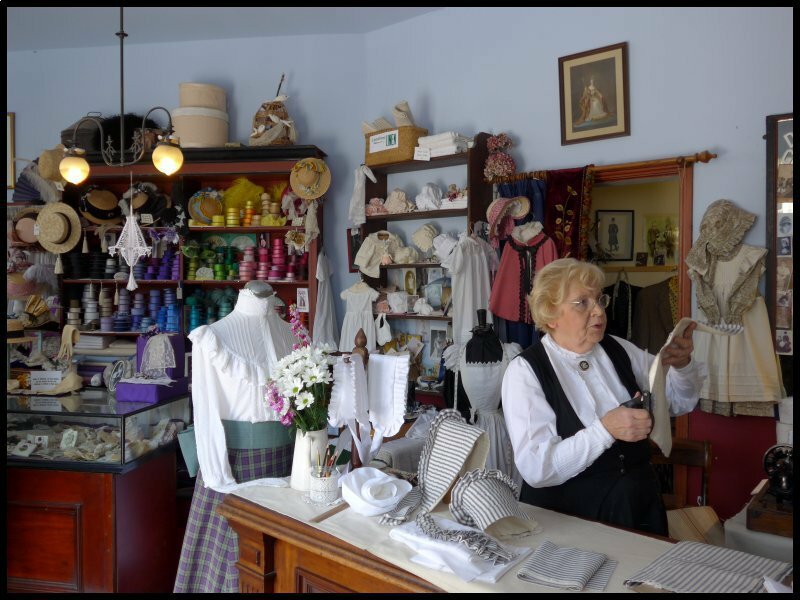 This is another Victorian town collection of buildings and articles. Again, my admission ticket was taken care of through Tesco vouchers. 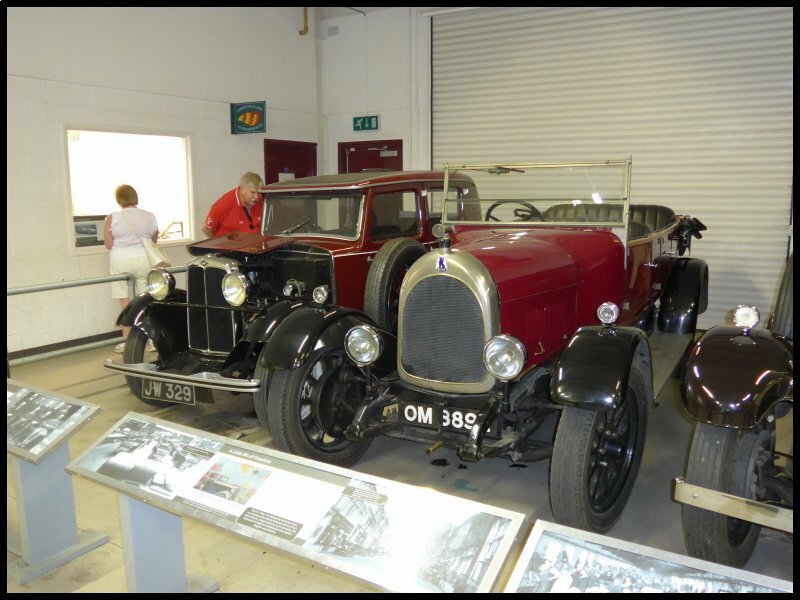 Among the exhibits are many vehicles from long-forgotten car makers, with buses and motor cycles, all in excellent condition. One of the buses, a 65 year old Guy is used as a shuttle bus around the site. In another enormous shed are some trolley buses which were taken out of use in many cities some 60 years ago. New, cheaper diesel buses were about to replace them. 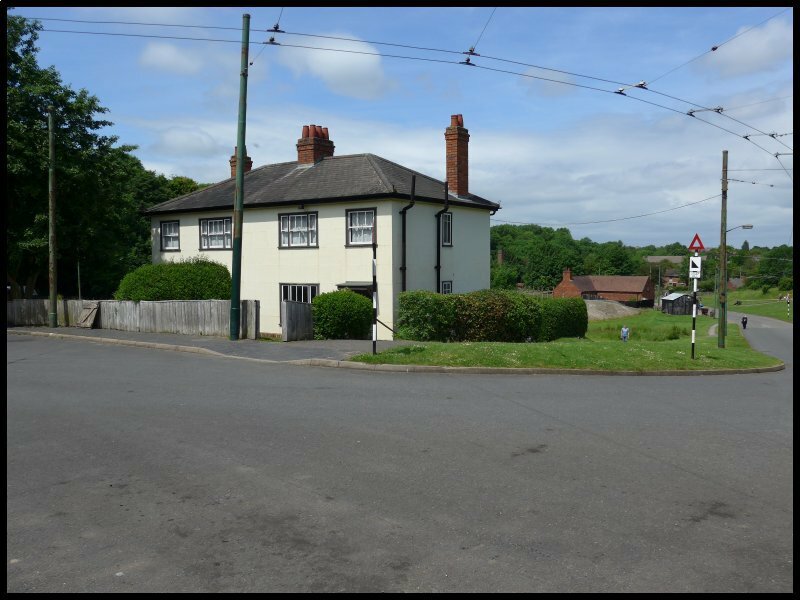 Across the road were what looked like a couple of semi-detached houses but on closer examination they were the result of a short-lived experiment in building cast-iron houses.. The entire construction was based on 18” square cast iron panels being bolted together. They proved to be much more costly than bricks and mortar – and probably susceptible to condensation. 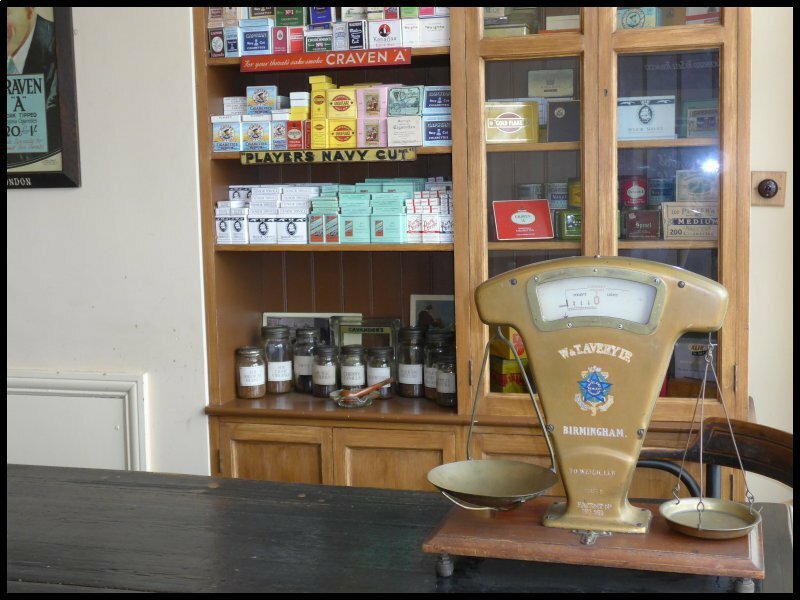 Half a mile away down past the pit, was the town built on the banks of the canal with its collection of Victorian shops and school. 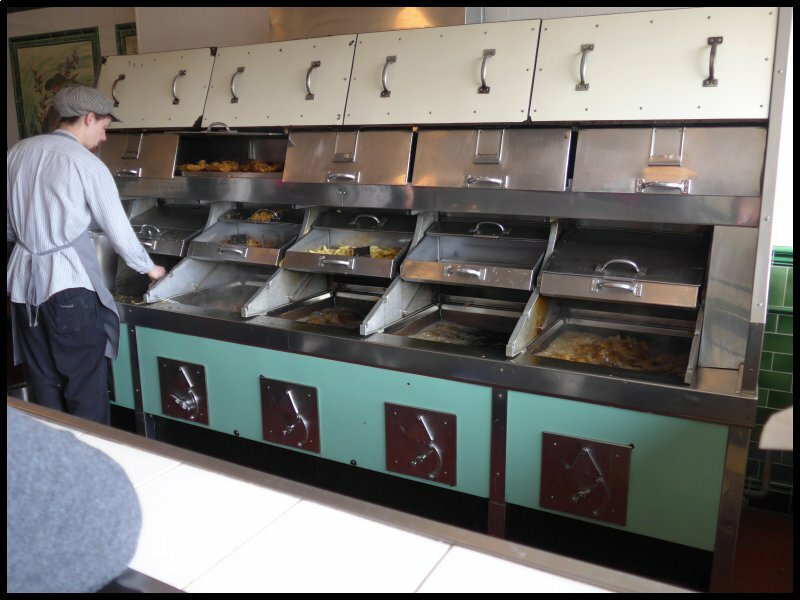 A working 1930’s fish & chip shop was doing a roaring trade with queues of visiting school children. 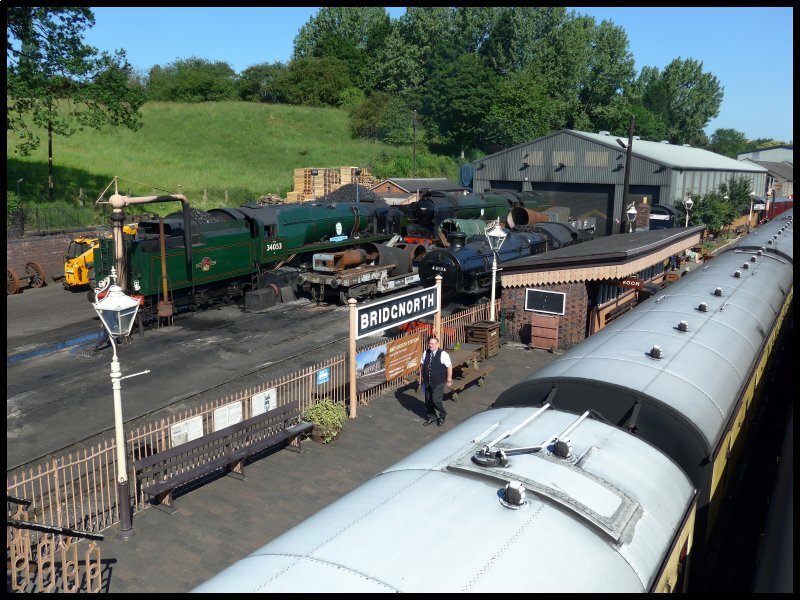 Saturday’s visit was just a short ten mile drive to Bridgnorth. 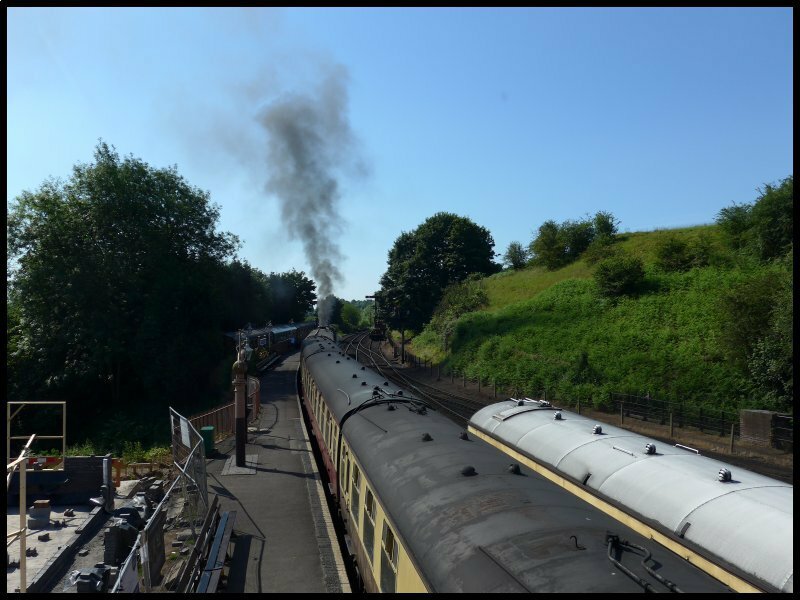 I wanted to ride on the Severn Valley Railway, a heritage steam train journey down to Kiddermister. Whilst I was in the town I came across an interesting war story concerning the area. Apparently at the end of the war a bundle of papers marked “Top Secret” were discovered in a bunker in Germany. They were dated 1941 and they are believed to be Hitler’s plans for where he wanted to base his headquarters after his invasion of Britain. 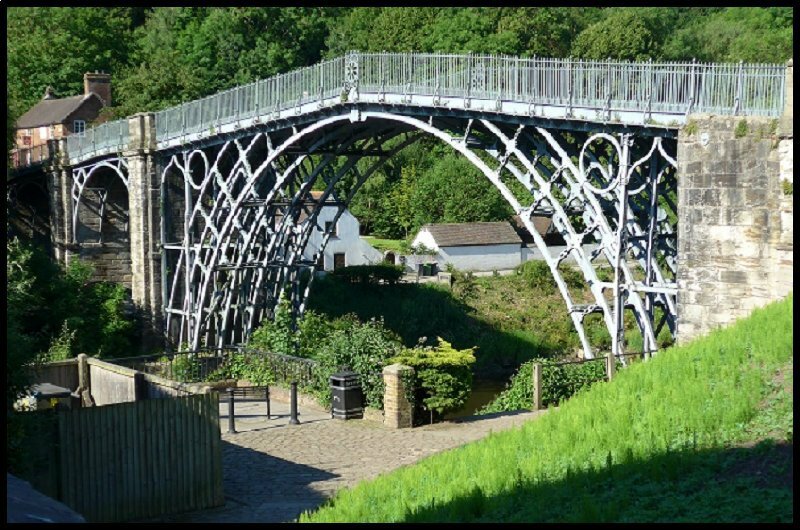 The plans included an inordinate amount of detail showing road and rail and airport access to Bridgnorth.. A local stately home, Apley Hall which stands a few miles from the town featured in the plans together with a road map showing the route between the house and the nearby airfield. The discovery of these plans dated after the cancellation of Operation Sealion leads one to believe that rather than being a cancellation, it was just a postponement of the invasion. But back to the train ride. I got off the train two stations down the line to visit the museum at the engine sheds. 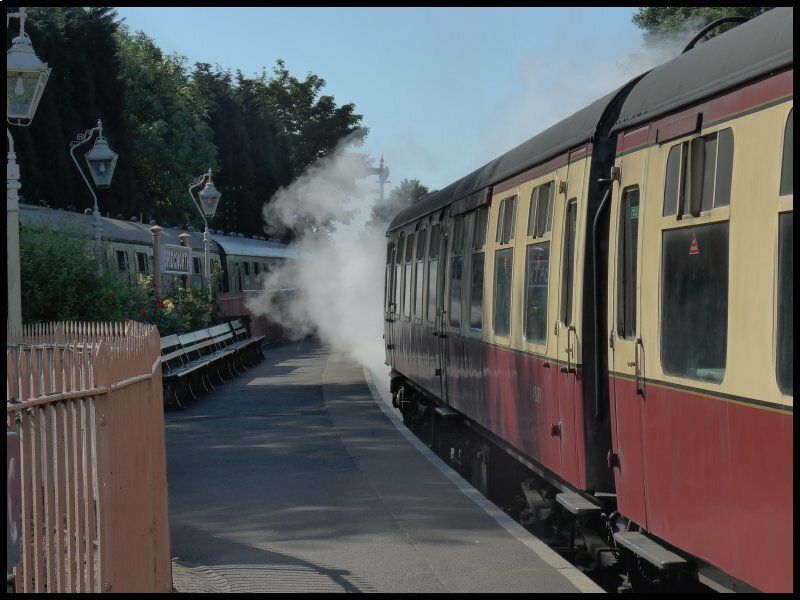 Here you can walk along a high platform to view several steam engines in the collection. The star of the show is the Royal Train. Unfortunately all my photos were a disaster because of window reflection. Another circular route for today. I was ready to leave by 8.45am but at the last minute I decided to reverse my planned route and drive to the farthest point first. After twenty-four miles I arrived at The Royal Oak and Boscobel House. 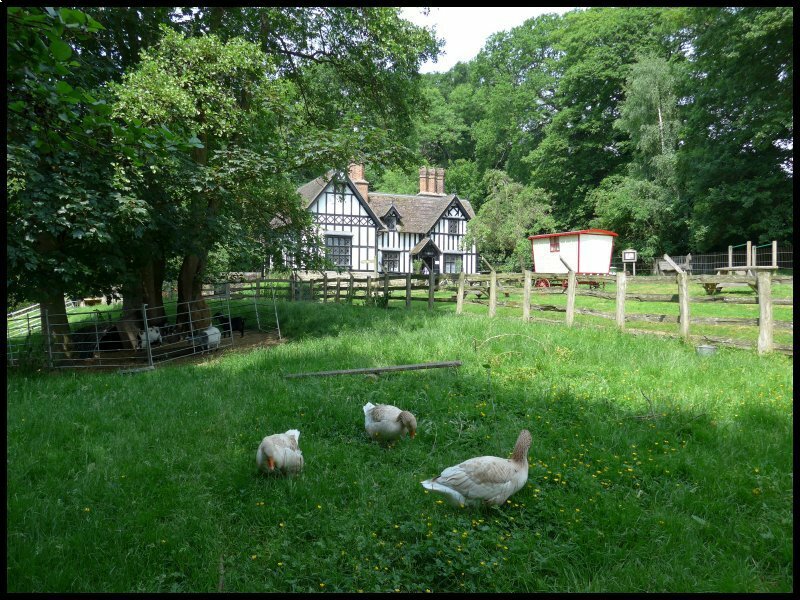 The house was built around 1630 by John Giffard, when the Country was undergoing frequent changes in religious policy. The first change came with Henry VIII when he broke with Rome; then back to Catholicism with daughter, Mary; then back again to Protestant with second daughter, Elizabeth. With heresy being regarded as a serious crime and carrying a prison sentence or even the death penalty, a person was viewed with suspicion if they did not conform. 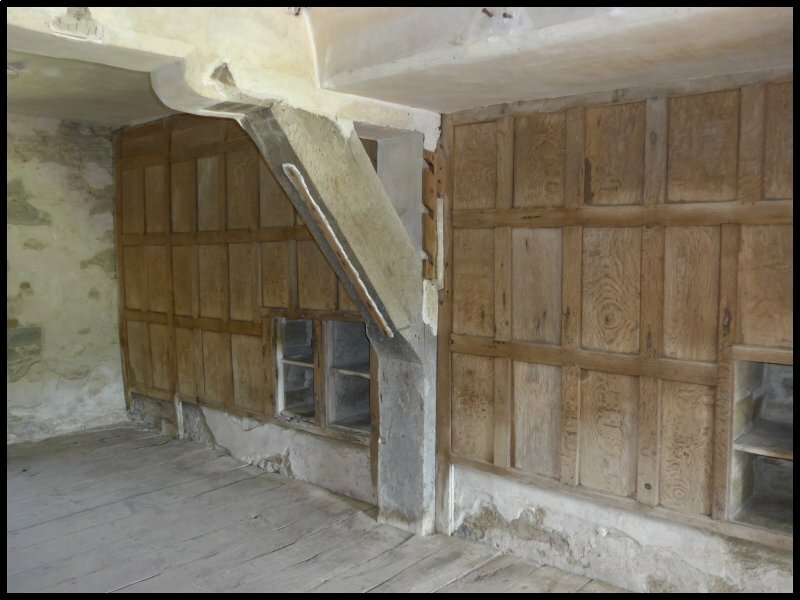 John Giffard being a staunch Roman Catholic, when he built his house, had installed some secret places to hide visiting priests In 1649 King Charles I was executed and the Country became a republic under Oliver Cromwell. The following year his son, Charles returned from exile and marched from Scotland down into the Midlands, gatheringt supporters on the way. He was met by Cromwell’s army near Worcester where the Royalist army was defeated. 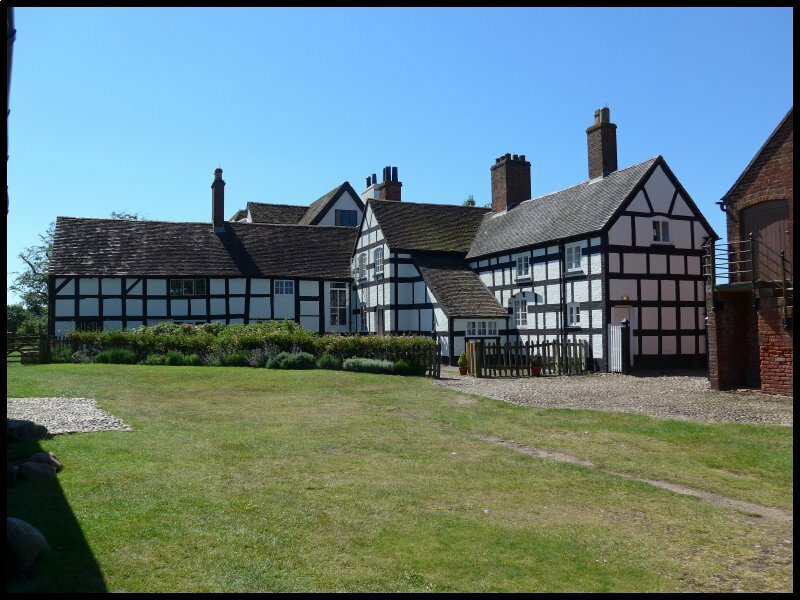 Afterwards Charles fled with his followers towards Wales and he took refuge first at The White Ladies Priory, then at Boscobel House. His first night was spent hiding in an oak tree in a wood and then in one of the priest holes at the house. 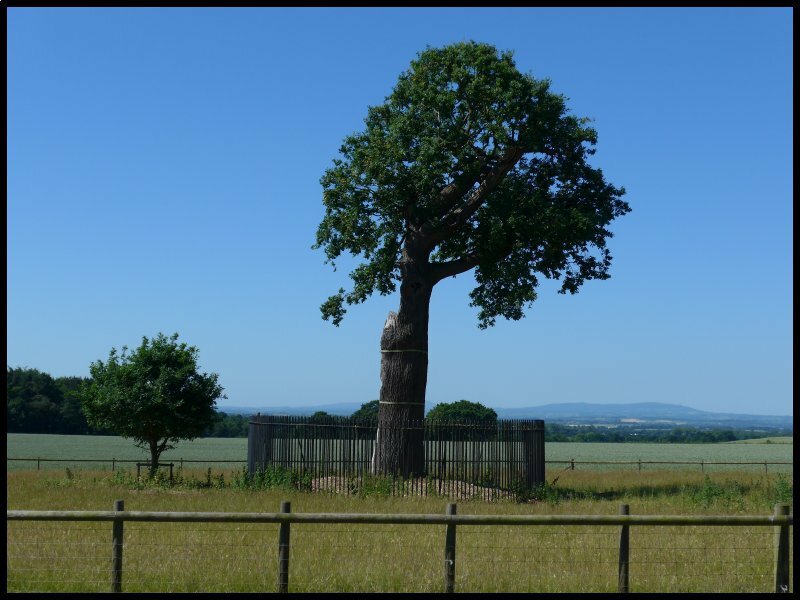 The original oak tree, with the rest of the forest has long gone but the replacement tree was grown from an acorn from that original tree. The present tree in turn is nearing the end of its life and will eventually be replaced by a new sapling growing alongside it. Before leaving the area, I drove a mile or so down the road to visit the White Ladies Priory. 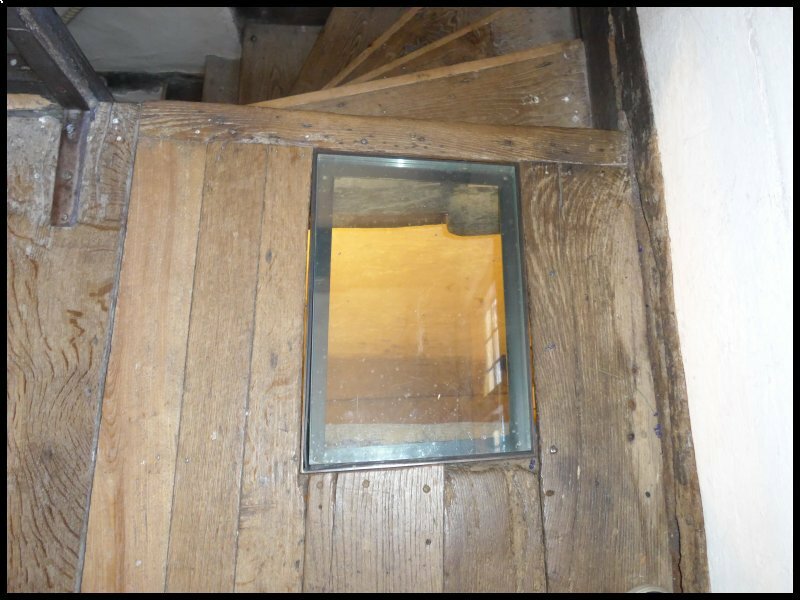 This dates from the 12 Century and continued in use up to the time of the Dissolution. It was never a wealthy establishment and only ever housed six or seven Augustinian Canonesses. 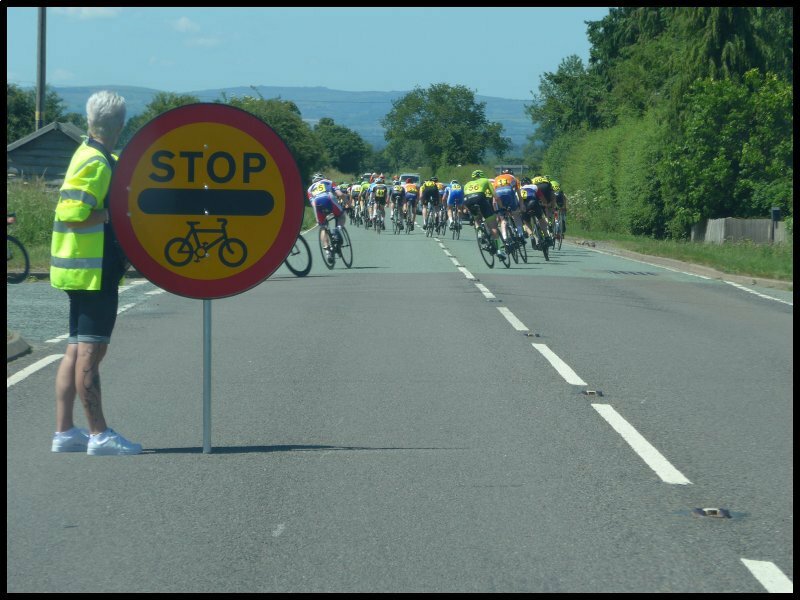 During the next leg of my tour I was brought to a sudden stop close to a T-junction by a “STOP” sign being turned against me. The operator – a woman, frequently turned towards the lengthening queue and shrugged as if she was as puzzled about the delay as I was. It was during this long wait that an impatient driver overtook the long line of waiting cars and positioned himself alongside me at the head of the queue. But little did he know. He’d overtaken an unmarked police car also waiting in the queue and a sergeant quickly appeared at his window. My wing mirror gave me the gratifying view of the copper shepherding the car in reverse down the road to the back of the queue. After a further few minutes a crowd of racing cyclists whizzed around the corner and sped off down the road followed by support cars and motor-cyclists. Fortunately my turning came before I could catch them up. 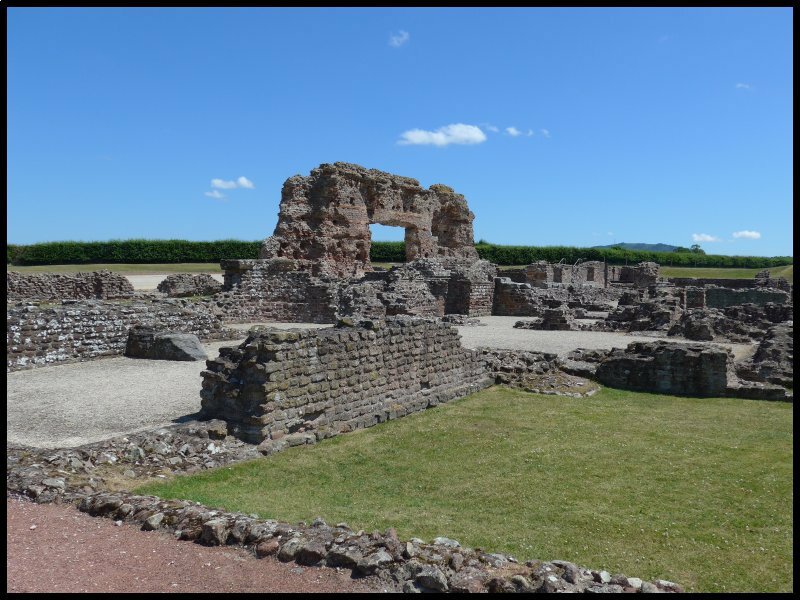 I had arrived at Wroxeter Roman Town. Originally the Romans built a fort here sitting astride Watling Street but later a city grew up around the fort. In time it became the fourth largest city in all of Roman Britain. No building work has ever taken place on the site so there are large areas of virgin archaeology in the ground that has only been mapped by aerial survey and geophysics. Across the road is a reconstruction of a Roman Town House. 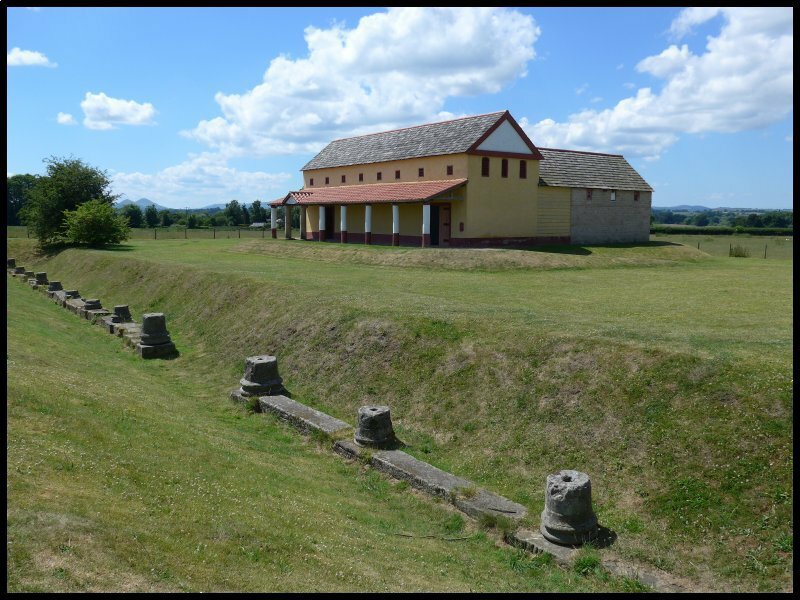 This was built by a team of modern-day builders in 2011 using tools and materials known to have been available to Roman builders. The build was part of a Channel Four documentary. Back into the car for another eight miles. 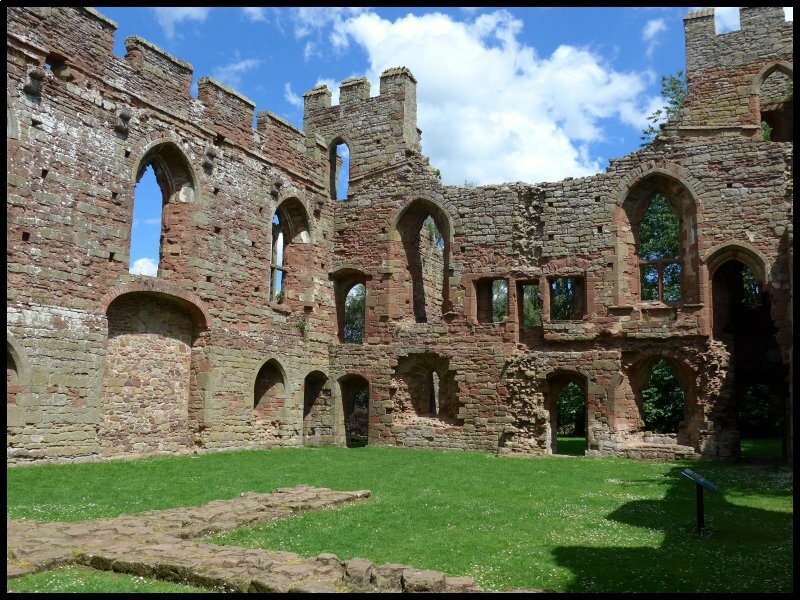 This time to visit Acton Burnell Castle. The Burnell family had owned land in Shropshire since the late 1100’s but 100 years later son, Robert entered the Royal service as a clerk to Prince Edward. He quickly rose to become Chancellor and when the prince became King Edward I, Burnell also became the Bishop of Bath The King’s military campaigns in Wales frequently brought him to Acton where he stayed with Burnell at the castle. The way back to my site took me past Langley Chapel built during the 17th Century in the Puritan tradition. So no altar, no cross or candle sticks, no stained glass windows or painted panels. 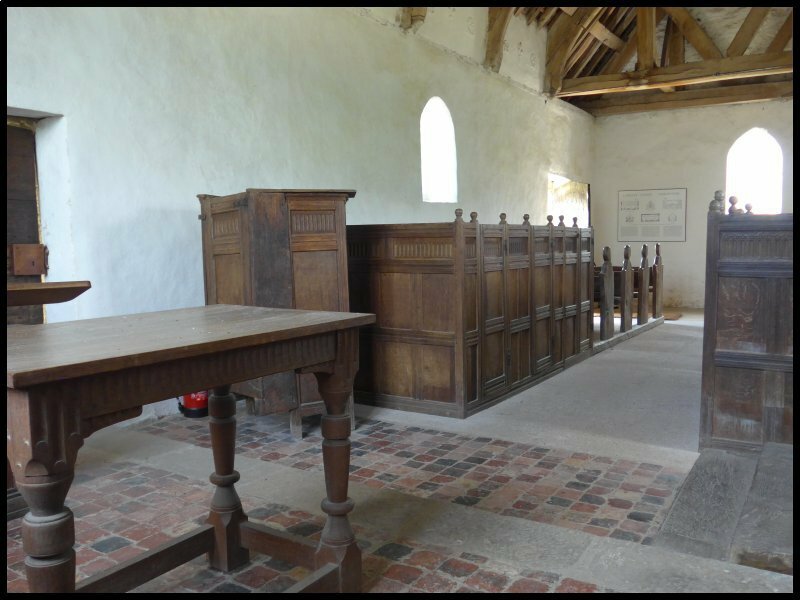 Just plain white walls with a table, a pulpit, and box pews with narrow seats. 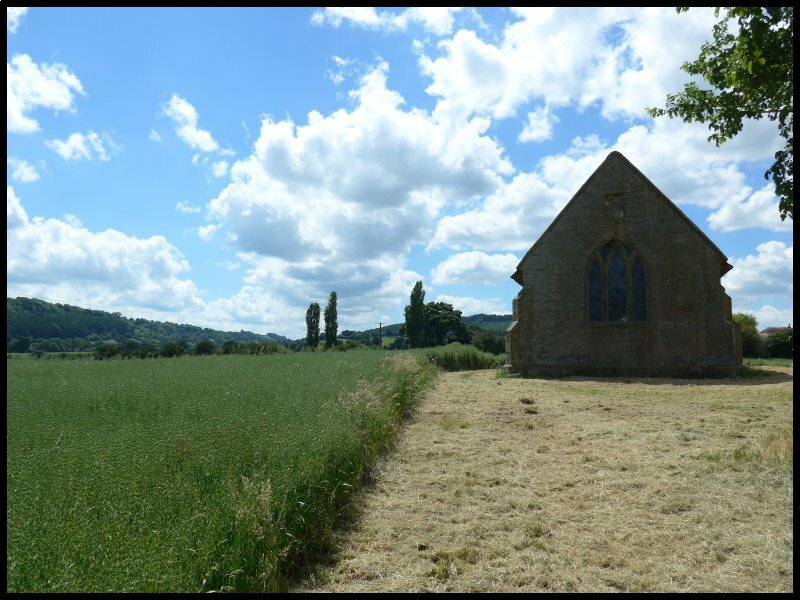 The chapel is no longer consecrated and is in the care of English Heritage. Today would be my last day of visiting and even at 7am it was shaping up to be just as hot as the previous two days. I decided on a visit to the Acton Scott Historic Farm. 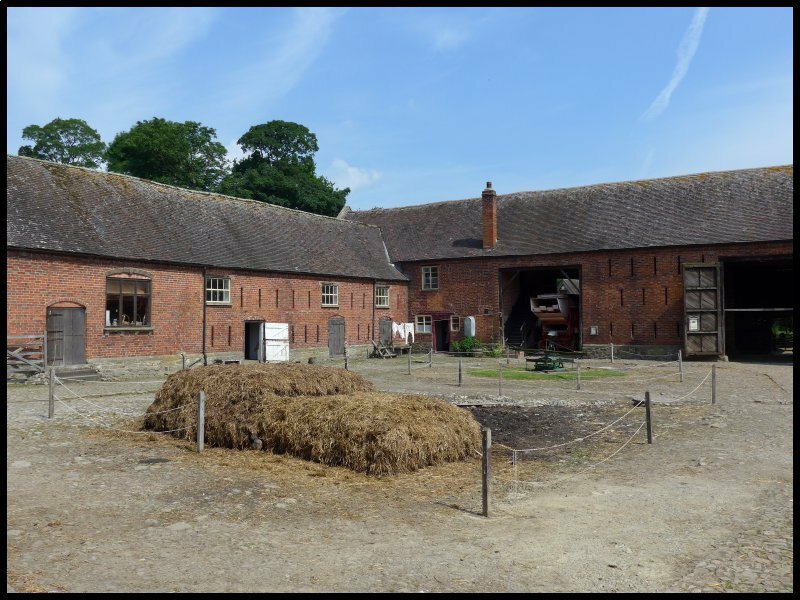 Viewers familiar with the television programme “The Victorian Farm” will recognize the buildings. Fortunately there were plenty of seats in well-shaded spots overlooking duck ponds and the like. 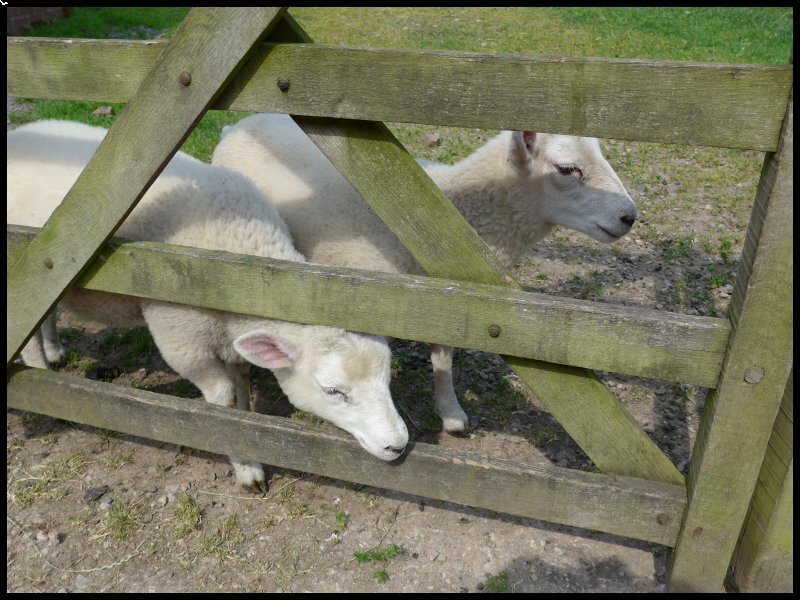 One such spot was just across from the yard where four lambs were noisily attracting attention. Twenty minutes later the reason for their bleating was apparent. Their tummy clocks had told them it was bottle time. 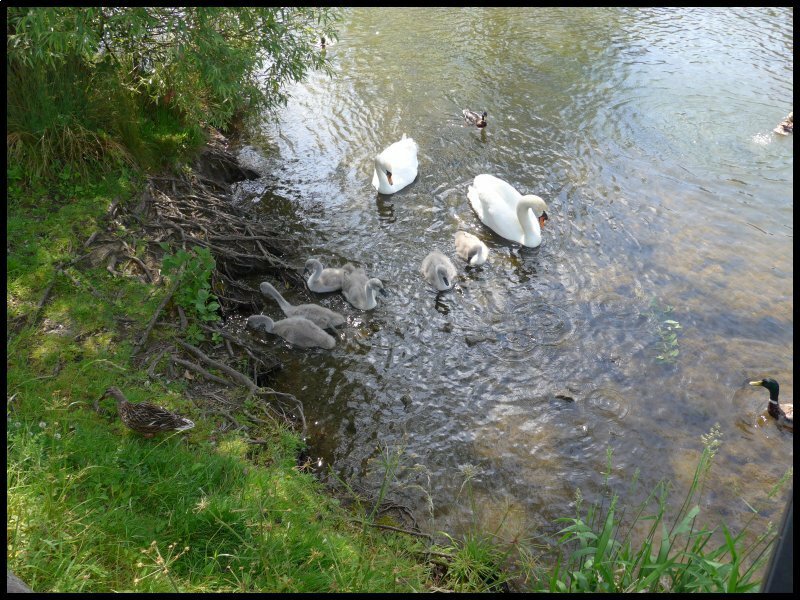 All four lambs were the triplets of mother ewes unable to provide for them. Back at the caravan the afternoon temperature was unbearable. Since I was due to leave in the morning, I decided to leisurely pack, have a shower and head for home in the cool of the evening. Air conditioning in the car ensured a comfortable drive and after 180 miles I reached home at around 10pm.